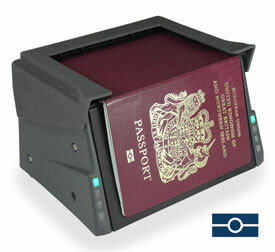 The OCR640 desktop is a full-page multi-illumination ePassport reader. 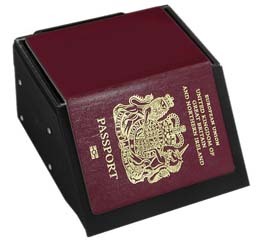 It captures ultraviolet and infrared images, as well the full page of a passport in colour. In a simultaneous single action the reader also decodes the machine readable zone (MRZ) and processes eData, including the holder's image, from the chip. The OCR640 automatically detects when a document with machine readable data has been presented. Additionally, it is able to compensate for out-of-position MRZ data, so that the advanced recognition engine reliably provides highly accurate and very fast document reading capability, allowing large volumes of documents and smart cards to be processed quickly and efficiently. The unit features blue, amber, green and red LED lights to keep the user informed of statuses from ready to scan through to processing and successful scan, or that there is an issue with the document. A programmable audio beep provides additional user feedback to confirm successful scans. The OCR640 has a compact body design and a variety of hood designs. Furthermore, its robust, rugged, quality-assured UK manufacture enables it to withstand years of heavy duty frontline use. 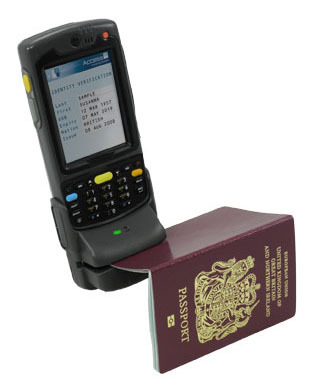 OCR640 full-page multi-illumination ePassport reader for integration into KiosksThe unit automatically detects when a document with machine readable data has been presented and a user-programmable audio beep instantly confirms successful data capture, making it simple for untrained or inexperienced users. Additionally, it is able to compensate for out-of-position MRZ data, so that the advanced recognition engine reliably provides highly accurate and very fast document reading capability, allowing large volumes of documents and smart cards to be processed quickly and efficiently. 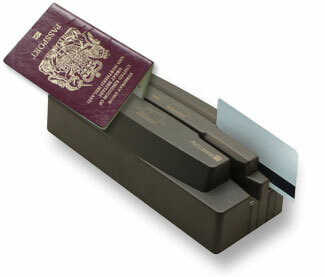 The OCR640 OEM has a compact design for easy integration into self-service kiosks and gates. Furthermore, its robust, rugged, quality-assured UK manufacture is designed to withstand years of frontline use. Mobile OCR and MRZ Reading Snap-on Accessories for Handheld ComputersUltra-mobile and reliable snap-on accessories for use with hand-held computers, including Motorola and Intermec, adding MRZ and magnetic swipe card reading capability. The snap-on readers incorporate our MRZ reading module, the OCR310, which is used in many of our own designs, which reads the machine readable zone (MRZ) of identity documents including passport, driver's licence and ID cards. Options exist for including magnetic stripe card reading, allowing certain driver's licences, credit and loyalty cards to be read. 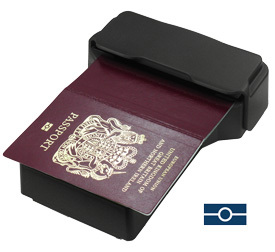 Combined OCR and MSR readers are designed for passports, visas, US Resident Alien Cards and European national ID cards.